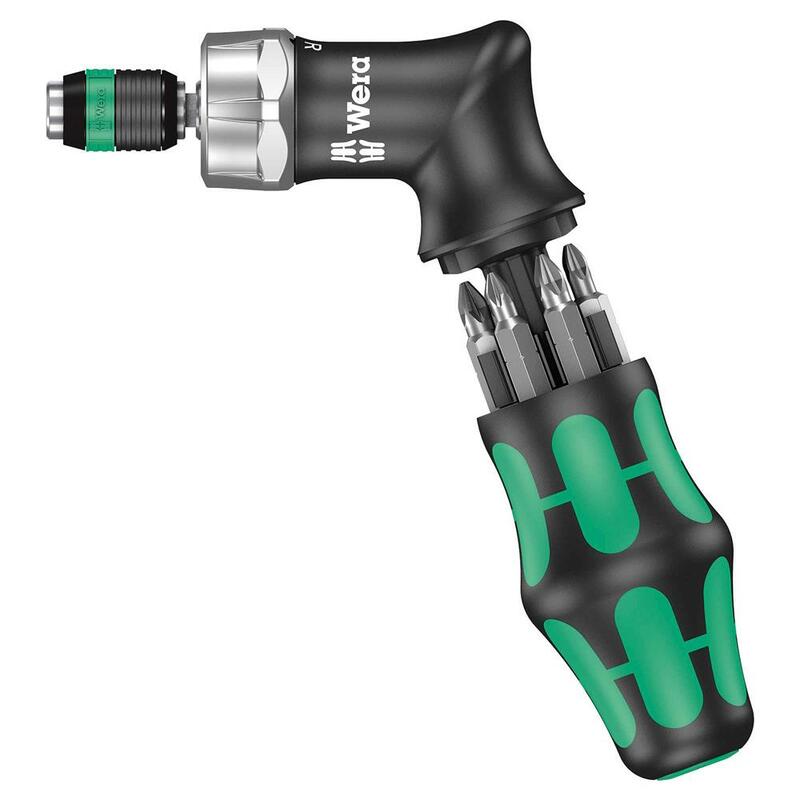 Kraftform Kompakt Pistol handy ratchet screwdriver delivers high working speeds and ergonomic screwdriving with high torque output, when compared to other straight handled screwdrivers. 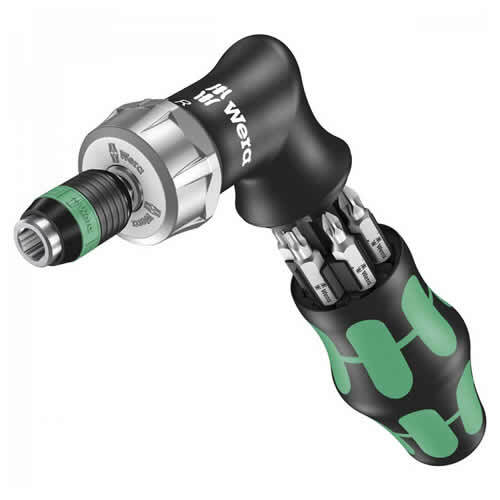 Includes a fine action 44 toothing ratchet system with a small return angle of only 8°, simple to use switchover ring (right, fixed, left), the lockable neutral position permits exact fine adjustmentwork, a maximum torque of 50Nm, making it very robust and 25% stronger than conventional ratchet screwdrivers. Kraftform screwdriver handle has a non-roll feature at the lower end, the hexagonal design prevents any annoying rolling away. The integrated Rapidaptor quick-release chuck accommodates standard 1/4" hex bits while providing all the advantages of rapid-in and self lock, together with a spin sleeve for providing added support when needed. Strong permanent magnet for a secure bit fit, the bit can be pushed into the adaptor without moving the sleeve, the lock is automatically activated as the bit is applied to a screw. Simply push the sleeve forward to change the bit, the spring mechanism lifts the bit off the magnet, unlocking the tool. A bit storage magazine for the included 6 screwdriver bits is integrated into the handle itself. This storage magazine can be quickly accessed by pressing a button on the end of the handle.